Jordan will meet Vietnam in the Round of 16 of AFC Asian Cup 2019 on Sunday as they look for their third quarter-final appearance in the continental championship. Jordan are outfitted for the tournament by technical sponsor Joma for the competition. 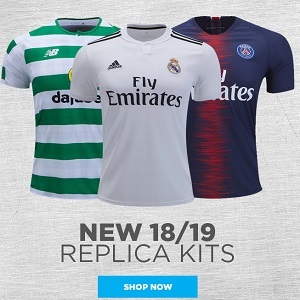 The Jordan 2019 Joma home and away kits both use the same minimalistic v-neck design from the German sportswear company. The primary shirt is white withe red accents while the alternate is red with white details. The contrasting colors on the jerseys appear at the collar, sleeve cuffs and under arm ventilation areas. The Jordan Football Association crest is embroidered on the left breast. Ranked 109th in the world by FIFA, Jordan have made four appearances in the AFC Asian Cup (all since China 2004).